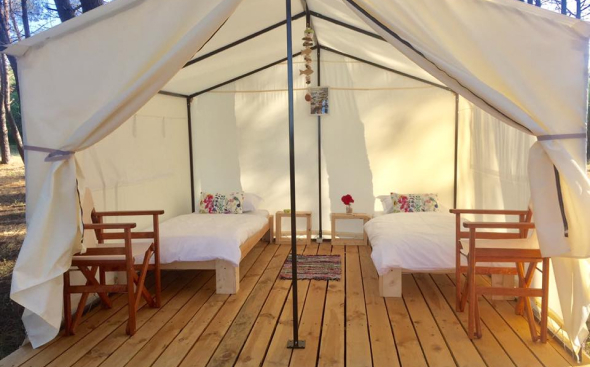 Glamping GORA has 15 tents with a total of 30 beds. 8 of the tents are with two separate beds, and the other 7 are with one double bed. Each tent has a number to help you identify who yours is, so that you do not mistakenly go into someone else's tent. Whether it's your first time or you've been here before, our goal is to make your experience comfortable and enjoyable. 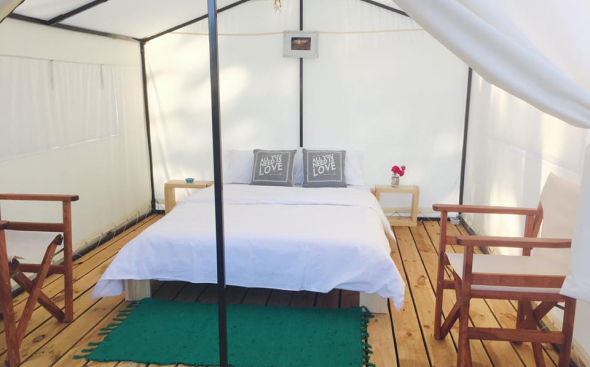 Glamping GORA is for those who want to spend more time in nature. A place for anyone looking for tranquility and silence close to the sea and nature.